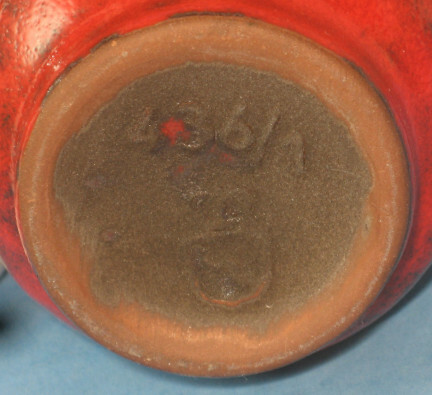 The Graflich volcanic glaze is fairly distinctive among the West German pottery companies. 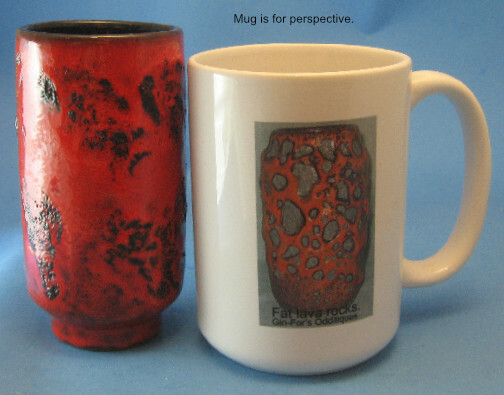 It's not a "cratered" glaze, and the volcanic glaze isn't the top glaze, as you often see. 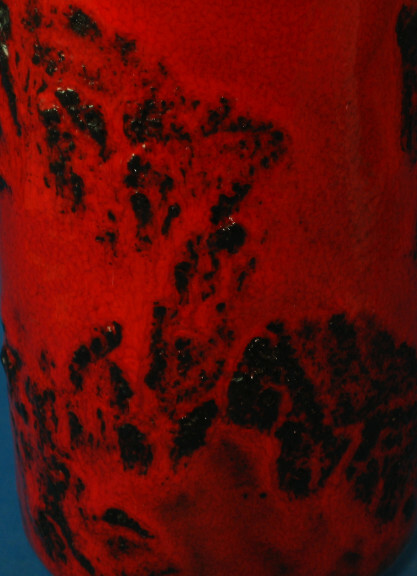 The deep, strong red is the top glaze over black (a common combination), but the black bubbles up through the red in various places and to various degrees with striking results. 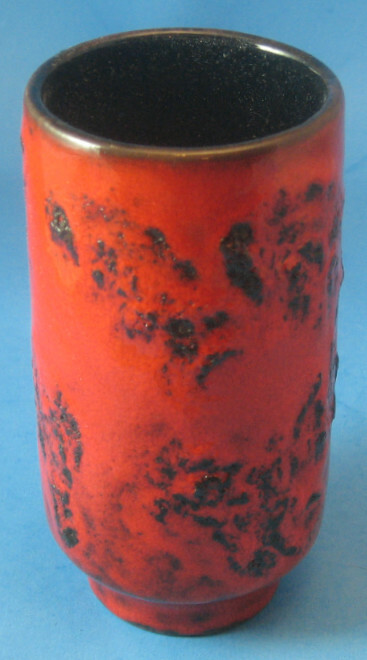 Size: Height is about 5" with a diameter of about 2 1/2". 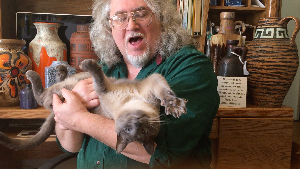 Price: $65 plus shipping and insurance..